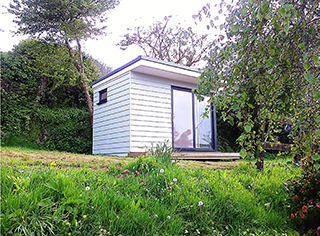 designed and built by Creative Garden Studios. Positioned within your garden, you can escape the general pressure of work and instead enjoy that moment in time. 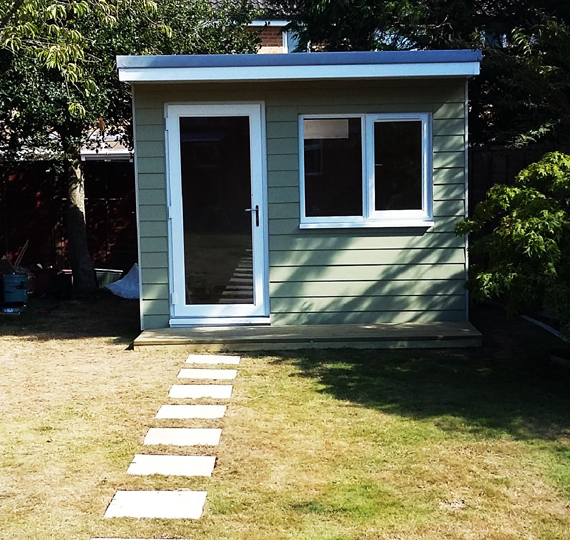 Garden offices are wonderful if you want to mix technology from an office with comfort of the outdoors and you can even install shelves, tables, chairs and other office features throughout the building so it offers all of the practicalities a normal office would. Our Devon garden offices are perfect for both businesses and private individuals and each office can be specifically tailored to your requirements in order to get an office space that is perfect for you. "Our offices can be used all year round as we have various different heating and insulation options for you to choose from so you can keep warm through the winter." 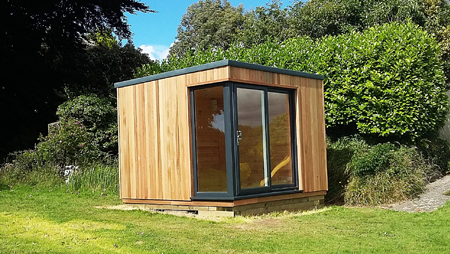 Most of those who work in an office will find stress is a usual occurrence; however with a garden office from us at Creative Garden Studios in Devon, you can turn a stressful environment into a tranquil one. 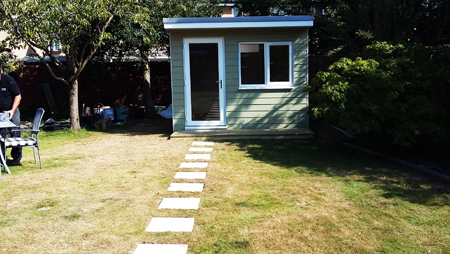 The garden office was economical to build and close to the comforts of the client's home. Not sure if you need planning permission?